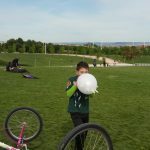 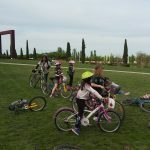 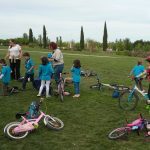 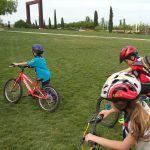 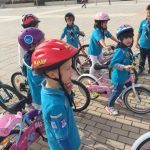 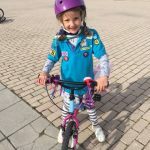 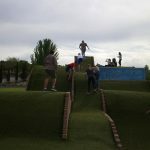 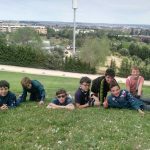 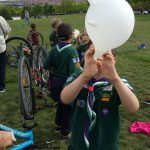 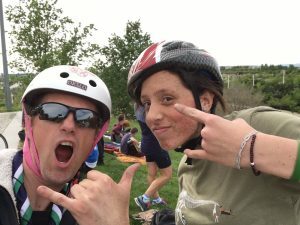 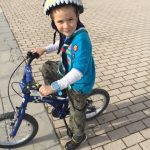 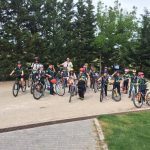 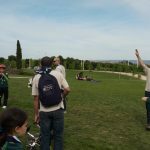 This month the troop got together at the Juan Carlos I park to do the cycling activity planned on the previous month that finally was cancelled due to the bad weather. 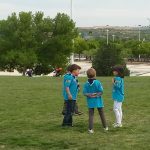 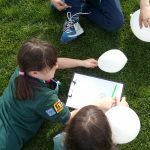 This month the Beavers had an exciting day in Parque Juan Carlos I. 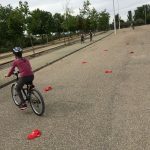 Earlier this year, the Beavers began working towards their Cyclist Activity Badges by learning about bicycle safety, the importance of wearing a helmet (the splattered melons without helmets were quite motivating—and tasty! 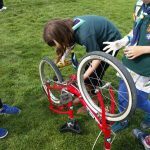 ), and learning to fix a flat tyre. 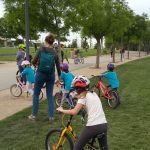 This month, they completed their badge requirements by riding through an obstacle course and participating in a relay race! 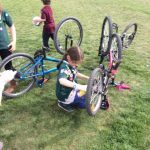 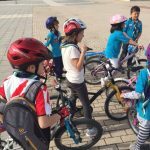 In all, 11 Beavers earned their Cyclist Activity Badges! 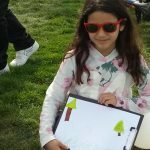 The Beavers also got up close and personal with nature by playing the “Nature Scavenger Hunt”. 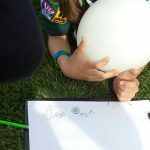 They found ferns, spider webs, worms and two very curious fish! 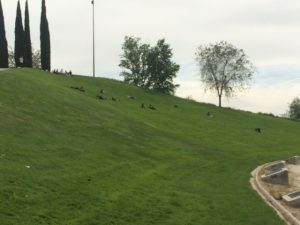 After finding all the items on their lists, the Beavers let loose some energy playing “roly poly”—rolling in pairs down the hill! 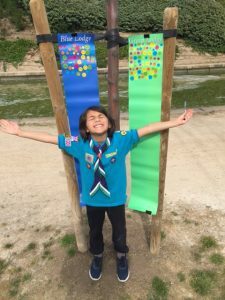 Before ending the day, our Beaver Lodge leaders, tallied up the stickers on their lodge charts—Beavers earn stickers for their lodge for attendance, by bringing a snack, wearing their uniform and earning badges. 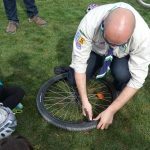 The Beaver of the Month earns another sticker for his/her lodge. 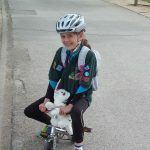 The Beaver of the Month is awarded to the Beaver who is the most helpful and promotes the Beavers’ Code of Conduct . 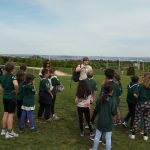 Overall, it was an exciting, exhausting and very fun day where the Beavers learned a lot and had a great time. 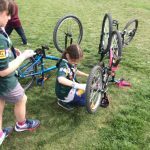 Special thanks to Assistant Beaver Leaders Candy and Katie and Parent Volunteers Natasha and Judith for making the day possible. 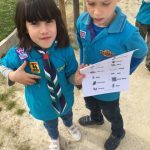 See you next month at Camp! 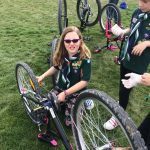 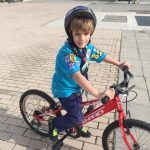 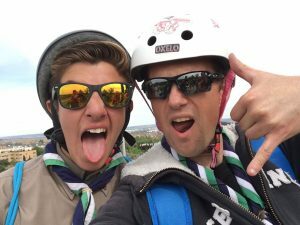 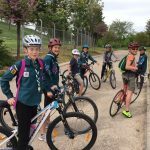 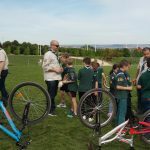 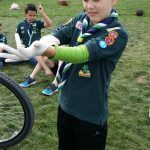 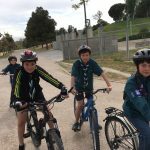 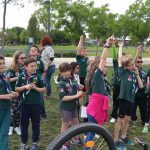 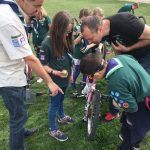 The Cubs went cycling around Parque Juan Carlos I for the cycling badge. 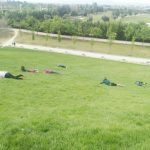 On the way around, we stopped at a hill and did some roly polies. 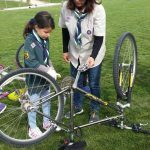 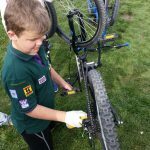 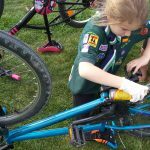 We then learned how to change a puncture, and we learned how to maintain and oil our bicycles, using gloves to not get dirty. 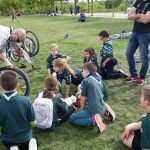 Afterwards, working in pairs, they made a poster about cycle safety. 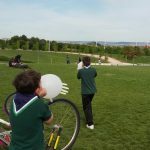 and finally, they played a relay game where they had to pop balloons. 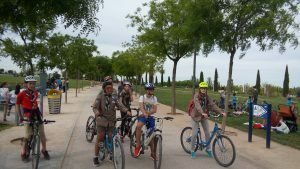 As the previous sections, they also had to prove their cycling skills and endurance. 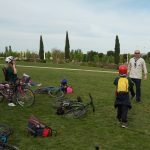 And they also did some roly polies.